On the list of tasks which make your hands stink, crushing garlic has to be up there with changing nappies, stroking sick dogs and getting to second base with a hobo. 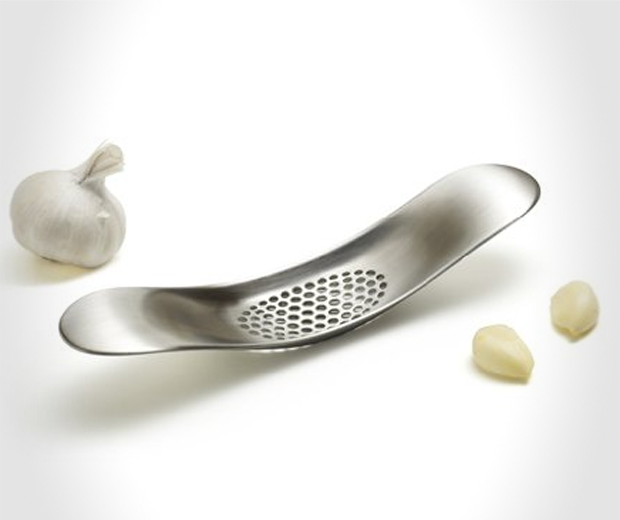 But with the Joseph Joseph Garlic Crusher's innovative design your mitts are guaranteed to remain vampire friendly and distinctly unattractive to Frenchmen. 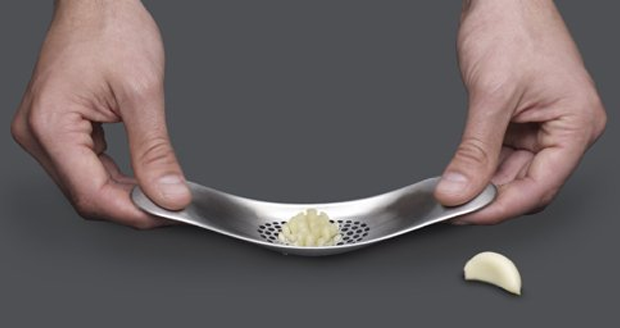 The stainless steel used to make this mincer and crusher already helps to remove garlic smells from your fingers, but the fact is you probably won't even need to touch that pungent stuff if you use it in the right way. 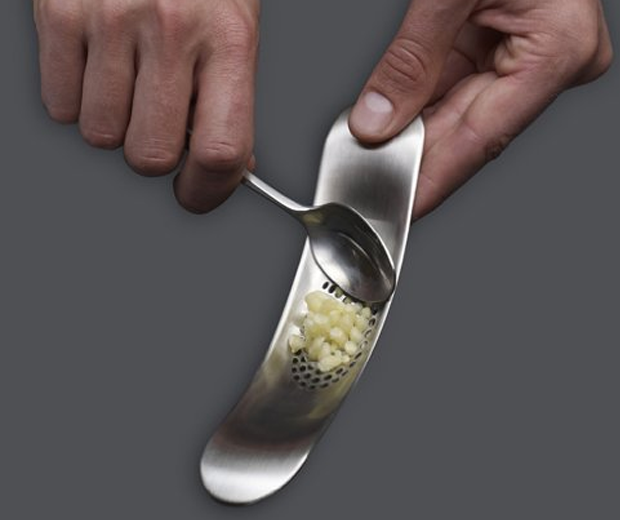 All you need do is press the crusher down on a single clove, lift it up, and scrape off the pulp using a spoon. Easy pinky no more stinky.